Price Chopper Trip + Additional Deals! 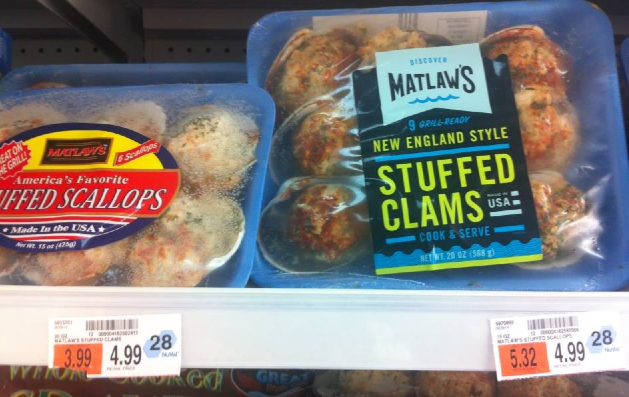 Price Chopper has Matlaw's Stuffed Scallops for $4.99 as well as the Stuffed Clams = FREE if you printed the $4.99/1 coupon (nla). Also, Matlaw's Shrimp (pictured in shopping trip) are B1G1 at $5.99 = $0.50 each after coupon! My Suave coupons did not automatically double and they would not manually change them. Did yours double automatically? You have ziploc bags pictured, but I thought Hefty was on sale this week?? You're right - I must have grabbed the Ziploc Bags by mistake!